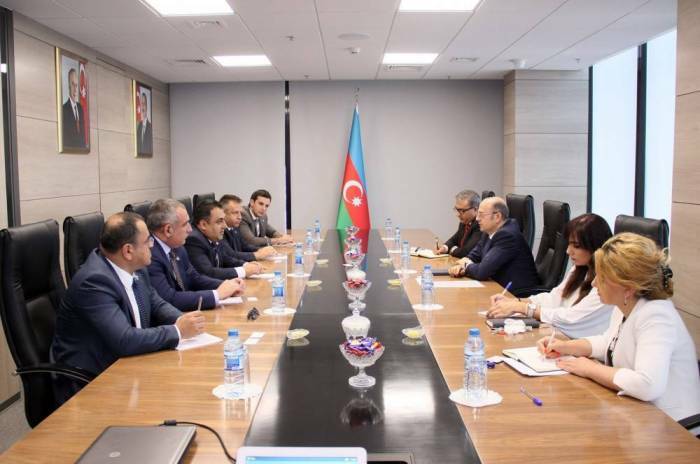 Minister of Energy of Azerbaijan Parviz Shahbazov has met a delegation of the Board of the Caspian European Club headed with First Deputy Chairman and Chief Executive Officer Telman Aliyev. Telman Aliyev thanked Minister of Energy Parviz Shahbazov for the attention and close cooperation with the Caspian European Club. He expressed hope that the bilateral cooperation would promote solution of problems in the energy field, and that the Caspian European Club, in turn, would make all efforts in regard to suggestions aimed at maintaining the momentum of active dialogue between the business and the Ministry. President of the Republic of Azerbaijan Ilham Aliyev is the Chairman of the Caspian European Club.